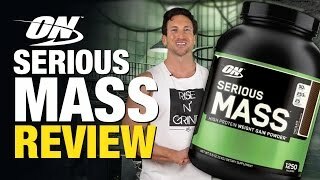 Fitness Savvy took a look online and discovered 5,141 online user reviews for Optimum Nutrition Serious Mass Gainer Weight Gain Powder. 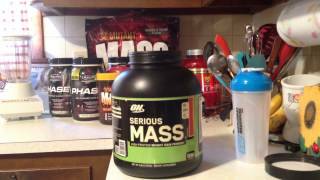 Overall, this mass gainer scored 4.2 out of 5, with Chocolate Peanut Butter being the most liked flavour. Users were pleased with the macro profile, high calorie content and mixability. Negative remarks include a chemical taste, oversized scoop and poor mixability of the strawberry flavour. 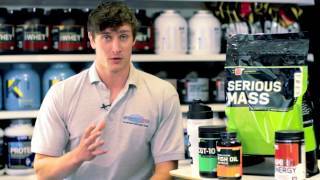 Add two heaped scoops of Serious Mass to a blender filled with 710 ml of water. Blend for 45-60 seconds. 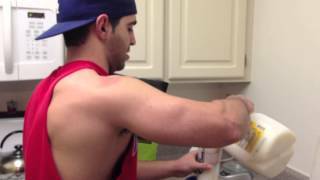 Then add a few ice cubes and, if desired, other calorie-contributing ingredients and blend for an additional 30-45 seconds. Tips: Mixing two scoops of Serious Mass with 710 ml of non-fat or low fat milk instead of water will give you a thicker, creamier, higher-calorie shake. New users may find if beneficial to begin with 1/2 of a serving daily for the first week and then gradually increase to 1 or more full servings several times a day. 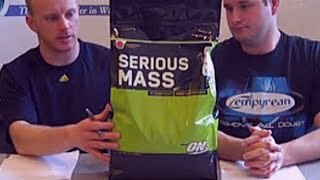 Between Meals: Drink 1/2 – 1 serving of Serious Mass between meals to maintain positive nitrogen balance and support a high-calorie diet. Post-Workout: Begin drinking 1/2-1 serving of Serious Mass 30-45 minutes following exercise to support maximum recovery. Before Bed: Drink 1/2 – 1 serving of Serious Mass about 45-60 minutes before bed to provide nutrients to recovering muscle throughout the night.